Jose Aldo and Max Holloway fight to become the undisputed featherweight champion at UFC 212 on June 3, live on pay-per-view. The 212 card will be held in Rio de Janeiro, Brazil. Aldo, the champion will look to make sure that he keeps his title and does not relinquish the belt to interim champion Holloway. Aldo (26-2), earned the interim title back at UFC 200 when he defeated Frankie Edgar for the number one spot. 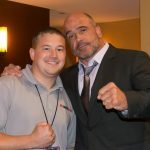 Then one Conor McGregor moved up and defeated Eddie Alvarez for the lightweight title, the UFC decided “Mystic Mac” could only keep one belt and stripped him of the 145-pound belt. Since Aldo was the interim, and of course, long-time featherweight title holder it only made sense to name him champion. Then when a unification bout with Holloway didn’t come to fruition, the winner of Holloway-Pettis would get that shot. Pettis missed weight for the fight so the title was off the table. Holloway finished the fight via TKO in the third round putting him on a 10-fight win streak. 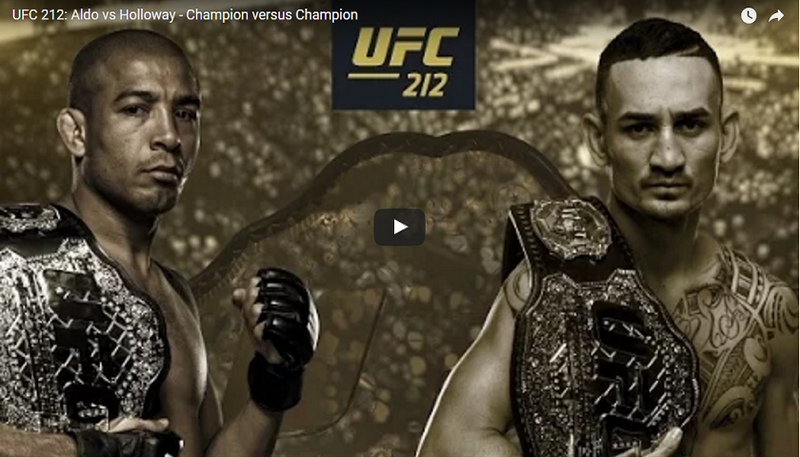 Last night during the UFC 211 broadcast, two promo videos for the event were released. UPDATE: Both videos have since been removed from the UFC’s YouTube page. We are replacing the content with video posted from another account.